You have been injured in a New York bicycle accident and you are worried about who is going to pay your medical bills, lost wages, and pain and suffering. The last thing you want is to be taken advantage of by an insurance company. If you don't protect your rights, you may not be able to make a claim. Insurance companies have attorneys and adjusters whose goal is to pay you as little as they can. 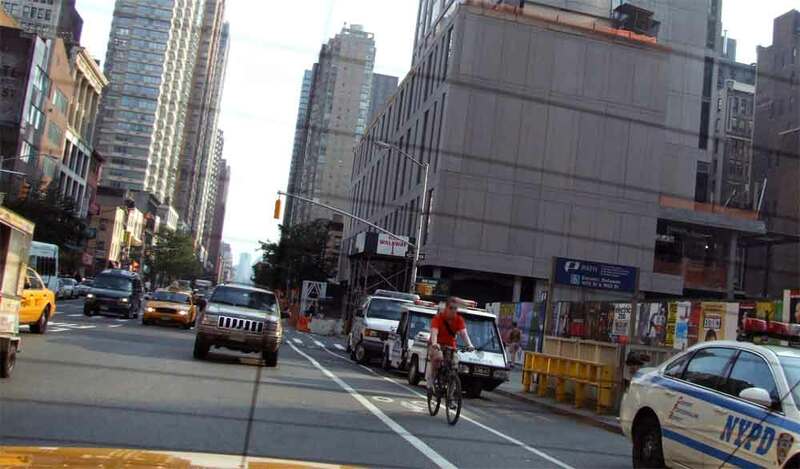 You need an experienced New York bicycle accident attorney to fight for you. I am an experienced New York trial injury lawyer. My team and I have tried many cases. I am not afraid to take your case to trial if that is what it takes to maximize your bicycle accident insurance recovery. I offer one-on-one service, and I will not hand your case off to an inexperienced lawyer or a paralegal. I have been an avid bicyclist for many years. I have completed several century and half century rides and have long been a major sponsor of cycling events in the New York Metropolitan area, including the Transportation Alternatives Century Ride, The Tour de Bronx and others. I have enjoyed road biking in such diverse locales as Central Park in Manhattan, the New Jersey Palisades, the hills of Connecticut and the Catskill Mountains in upstate New York and have had the opportunity to mountain bike on trails from Minnewaska State Park in Ulster County to the shore of Long Island. I have put in thousands of miles on my bike and know what it is like to have to deal with careless drivers. I try very hard to help injured cyclists, as oftentimes motorists try and blame the cyclists just because they are on a bike. I am pleased that Mountain Bike Magazine recognized me as "...a bike-savvy lawyer" in their May, 1998 issue. I will work hard to protect your rights and maximize your insurance settlement. You need an experienced and aggressive New York trial lawyer who will fight for you. Having an experienced New York bike accident attorney can make the difference between getting what you deserve and getting nothing. I work hard to make sure you are fully compensated for your bicycle damage. Unlike many lawyers, I know how expensive bicycles can be. I know what it is like to spend thousands of dollars on a bicycle only to have it damaged by someone else. I work closely with local bicycle shops to try and get you full replacement value for your damaged bicycle and bicycle gear. UNLESS I RECOVER MONEY FOR YOU. In less than a week, NY's Gov, Mayor, Transpo Commissioner & City Council just accomplished what the state Senate spent months avoiding: Voting to keep life-saving speed cameras around schools. Tonight we're riding out behind the last car in @CentralParkNYC ! Starting tomorrow, Central Park will be #carfree and open to 🚶‍♂️🏃‍♀️🚴‍♂️♿️🐕🐿🌿🌺! Now that's a herd of bikes taking the Lane. Wouldn't you like to roll with them!